Victor Mastrovinceno a resident of Morris Park is a renowned historian of pro and college football as it pertains to events on the field and has chronicled moments with Bronx significance. 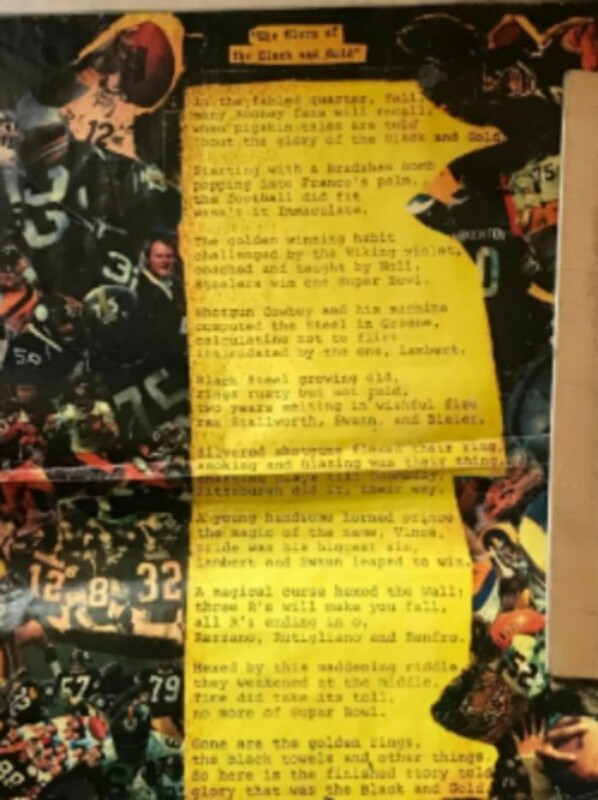 With Super Bowl Sunday upon us, Mastrovincenzo, wrote a poem ten years ago that details the Pittsburgh Steelers and their historic Super Bowl years. Titled, “The Glory of the Black and Gold” that has also been published and has become a part of his lectures at various libraries and community groups in the Bronx and New York City area.